Audiences and critics alike have come to know the Alan Gilbert musical touch. It can be a fascinating combination of cornerstones of the repertoire and wet-ink premieres with telling results. It can be an imaginative, genre-bending take on an opera or ballet that raises the bar for staged productions, an eagerness to discover new sounds, a passion for offering fresh insights into beloved masterpieces. Alan Gilbert believes in the power of music to heal and cross borders. That belief led him to conduct Takemitsu’s Requiem for Strings after the 2011 earthquake and tsunami, as well as the free performance of Mahler’s Resurrection Symphony on the tenth anniversary of 9/11. In his inaugural season he led the Orchestra’s first-ever performances in Vietnam and Abu Dhabi, and in December 2016 he conducted the Orchestra at the United Nations. In his final subscription program, he leads the Philharmonic joined by musicians from orchestras around the world in concerts celebrating the power of music to build bridges and unite people across borders. And he concludes his tenure in New York with one of his favorite Philharmonic traditions — the Concerts in the Parks. At the top of Alan Gilbert’s to-do list as Music Director: create long-term positions for the world’s most interesting and inspiring composers and soloists to cultivate relationships among the artists, Orchestra, and audience. He also spearheaded an annual festival and established relationships with cultural institutions throughout New York City, across the country, and around the world for groundbreaking initiatives. A music journalist looks back on the alchemical results of the combination of Alan Gilbert and the New York Philharmonic. 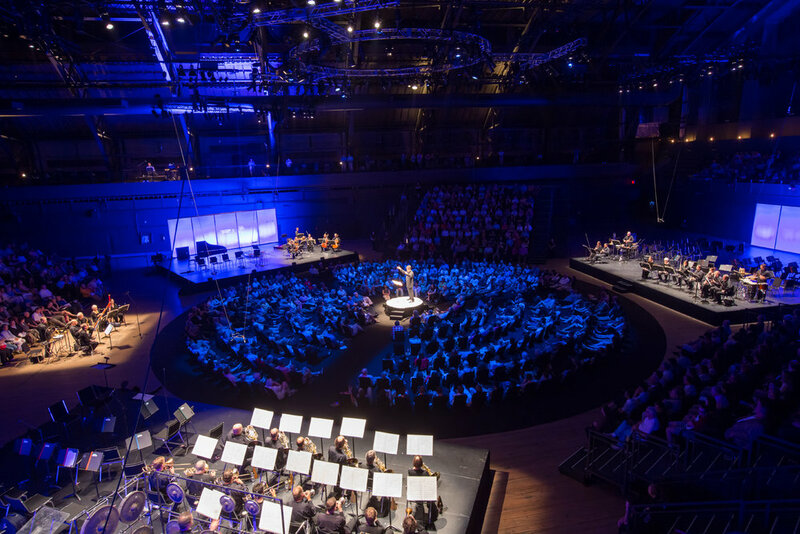 Relive Alan Gilbert’s inspiring tenure first-hand through recordings, videos, and photos. Does a particular performance stand out in your memory? Is there a particular aspect of these eight years that is most meaningful to you? Here’s your chance to let Alan Gilbert know what his Music Directorship has meant to you. Alan Gilbert’s final four programs as Music Director reflect signature themes of his tenure and feature works that hold particular meaning for him and musicians with whom he has formed close relationships.